Scored a set of coilovers for the Mustang. 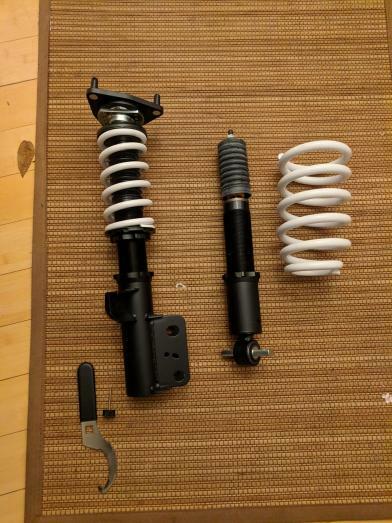 Room mate bought some coilovers for his 2017 GT on black friday and later decided he wants to do just lowering springs. $750 regular price, $550 black friday price, $400 friends discount price. Ride height and dampening adjustable. 1"-3" drop from factory. This will complement the Whiteline front and rear swaybar kit.